In February of 2010, a chance screening at a local church changed my life forever when an ultrasound revealed a 90% blockage of my right carotid artery. My physicians referred to me as a mystery. Having never smoked even a single cigarette in the 55 years of my life, I maintained perfect “numbers”. –My cholesterol fell into a small percentage of patients my primary care physician had labeled as “perfect” The same was true of my weight and fitness level. A seasoned half-marathoner, I consumed what I believed to be an incredibly healthy diet, and was preparing to run another event. Despite all of this, I found myself being wheeled into surgery the following month. The carotid endarterectomy (surgical removal of plaque) left me with an arterial graft and 100% blood flow through that artery. Mission accomplished! –Or so I thought. I left the nationally- recognized hospital on a low dose statin & aspirin, anxious to move forward with my recovery and resume my active lifestyle. At my postoperative evaluation six months later I learned that my recently-cleared artery was beginning to show signs of blockage, once again leaving my physicians perplexed. And leaving me frustrated. One year postoperatively an ultrasound indicated that the blockage had worsened to approximately 60%. What more could I do?! As I began to consider my options it appeared to me that I had only one card left to play– for I was already the model patient, exhibiting no risk factors for premature atherosclerosis. I began to reflect on a class on an Anti-Inflammation diet which I had taken months earlier. The class, taught by Cyd Notter, introduced me to a host of authors, rationales, and recipes for a plant-based diet free of oils. The media at the time was also abuzz with news of former President Clinton’s success in reversing his cardiovascular disease with the assistance of Dr. Dean Ornish and Dr. Caldwell Esselstyn (both are leaders in plant-based research and practice). By following what they coin as a “reversal diet”–eating nothing with a mother, no oils, seeds, or nuts–our former president touted significant weight loss and gains in his health. After months of consideration, I took the plunge into the world of a plant-based, whole grain diet. And I haven’t looked back. After six months on the reversal diet, my carotid ultrasound showed a slight regression (reversal) of the previous blockage. One year later, slightly more regression was noted. My physicians, pleased with my progress, endorsed my decision to pursue management of my disease with diet only—no more statins! Cyd has become a valuable resource and friend. 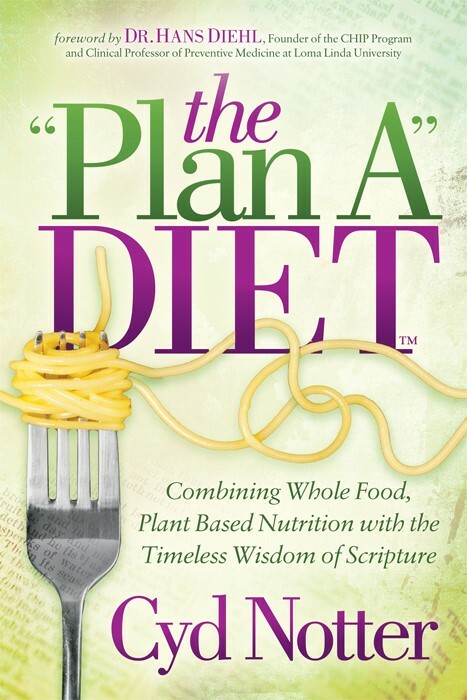 As a plant-based nutrition coach, she has guided me through some of the challenges of meal planning, evaluation of nutritional balance in my diet, etc. As a friend, she has provided me with the oft-needed encouragement to stay the course when confronted by doubters. During all of this time I have felt fabulous and have had the energy needed to fuel my distance running, proudly (!) completing my first marathon in November 2013.